We have central AC in the house but the 3rd floor got always hot with little relief from the central system. We discussed two options with Mario who came within 24 hours of our call and explained all pros and cons. In the end we had a Mitsubishi installed in the 3rd floor hallway. We paid a deposit (50%) on booking, the crew (Fabian and John) arrived as agreed, Fabian devised the best route for the electrical from the main floor el box and the best spots for the indoor and outdoor units. They covered the work area, worked diligently, caulked everything, cleaned, left us with manuals and documentation and explained how to operate the remote, etc. All staff we met or talked to were friendly and efficient. Nicole can sometimes get very busy but there is nothing that she could not handle and sort out. The price was perhaps not the lowest but the service was swift and excellent. We love to support local businesses in our area, and would recommend this company to anyone in the GTA without the slightest hesitation. We needed to replace our 1992 zero clearance gas fireplace and Brian and Sonny at Toronto Comfort Zone were able to come up with suggestions fit for the limited depth of our existing drywall box in the living room, to avoid additional expense with new framing, etc. We chose the Marquis Skyline. Sonny was able to have it delivered and installed within 3 days. He answered all questions that we had throughout the process. His installers arrived on time, did a beautiful job, cleaned everything and disposed of the old fireplace ($100 charge) and all packaging/garbage. They were knowledgeable and courteous. The price for the fireplace and installation was reasonable. From order to install 3 days, Sonny always communicated very well and in a timely manner. We will use this company again in the future, with no hesitation, and can recommend them to anyone. Their motto is "Obsessed with quality" and they live up to it. Sonny, thank you. Thanks Eva for such a detailed review. As per you mentioned, we do whatever we can to get the results our clients want. Probably a job of the century, removing a layer of old slate and two layers of asphalt shingles from our steep Victorian roof accessible only through a heavily landscaped front yard with two mature trees, numerous shrubs and flagstone retaining wall and pavement. Ben did a massive set up to protect the house, front porch and landscaping. His crew worked here 3 days, cleaned up thoroughly (!!) at the end of each day, making sure there is no debris left on the sidewalk or on any neighbour's property. I did not realize how truly great Luc's Roofing is until yesterday when my neighbour's roofers showered my house, porch and front yard with broken shingles and other debris, damaging my front door and porch divider and cleaning only superficially at the end of the day. No comparison!! Ben even saved me one of the original slate shingles and two square copper nails from the old roof. Now we have a beautiful roof with high quality shingles that will hopefully last a long time. Once again, a job exceedingly well done. Thank you. I called Sande after repeatedly hearing noises at the 2nd floor ceiling at the back of the house. He gave me an appointment for the next day, and called to confirm that he was on his way. On arrival he promptly went about checking our semi-detached house thoroughly. Then he talked to the workmen renovating the other house and had a look there, too. Sande came back to me with a full verbal report and photos he took to back up his words. He quickly determined that the wildlife access is at neighbour's house and after quick consult with neighbour's contractor proceeded to set up a one-way trap and screen to the area to evict the squirrels. He communicated and explained well throughout the process, billed on the spot. I can recommend Sande wholeheartedly to anyone in need of wildlife control/eviction. Luc came promptly to do an estimate for one of our flat roofs and his advice was extremely helpful. The job included dismantling and disposing of old roof terrace and everything was completed on time, within budget, with extra care and with an incredible attention to detail. The crew was meticulous, punctual and responsive to our needs. 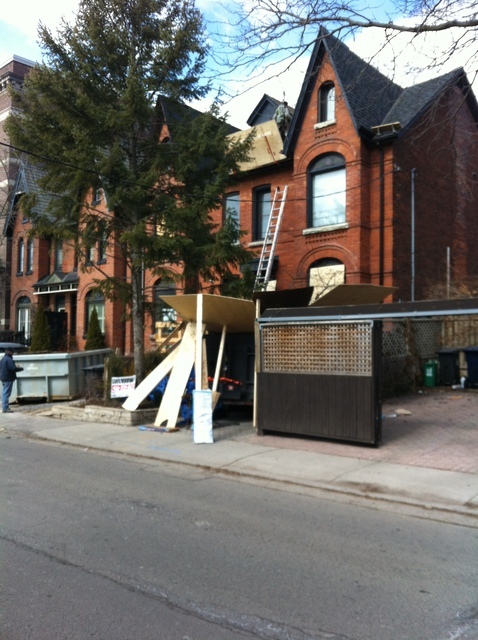 Ben even negotiated proper roofing treatment with our neighbour who changed his roof line and adjustments were needed. Perfect clean up, too. The price was reasonable. The company is true to its motto, absolutely. We can highly recommend Luc's Roofing. KHDavis was recommended to us by friends, based on their actual experience. 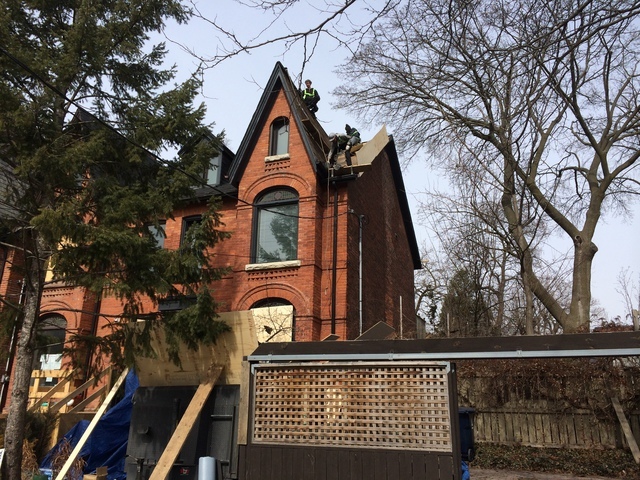 We needed solid advice and guidance throughout a residential project that involved lowering basement and crawl space and underpinning party wall that was done by our new neighbour in a semi-detached situation of a1894 Victorian house. 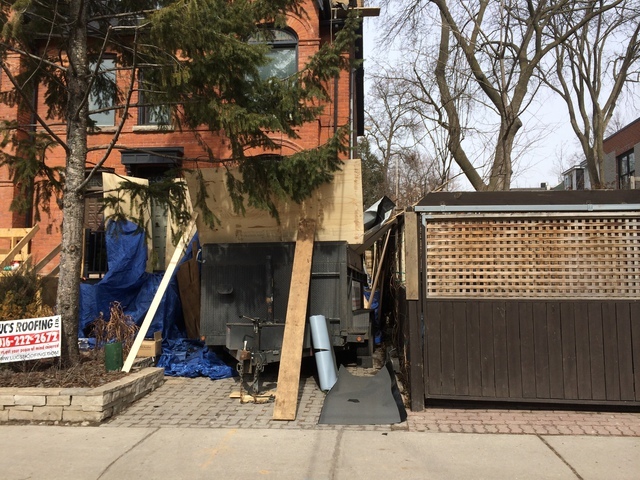 There were many serious issues during the lengthy project but Ken provided excellent and timely advice from the very beginning, did several inspections and mediated with neighbour's structural engineer and the city. His reports were professional and extremely helpful and he always answered all our questions. Everyone at KHDavis I spoke with was efficient and friendly. Mike was able to provide prompt and valuable guidance for the Committee of Adjustment hearing. We will be using this company next year for our own structurally complicated reno of the back of our house, and I can recommend KHDavis wholeheartedly for any structural and/or architectural residential project. This is the second roof done for us by Luc's Roofing within the last 10 years. The first one was the large steep roof on our 1894 Victorian, still good today. When one of our flat roofs got a leak at the end of last September, it was just days before our planned 2 months away. Luc and Ben came the next day to give us an estimate and said they'd try to do the roof asap. Their estimate was identical to the quote by another reputable roofing company working in the neighborhood at the time. Luc offerred to schedule the work as an emergency for Saturday to give us a peace of mind while away. The material was delivered Friday at the end of the day and the crew showed up briefly at the same time to inspect the workplace. All work was completed on Saturday, the guys cleaned up nicely front and back yards, Luc came to check with us, and we could not be happier. Time after time this company delivers top notch job. They try to work with you, are 100% professional and treat you nicely as a customer. Their attention to detail is phenomenal! We can absolutely recommend Luc's Roofing. When the time comes for our third roof, they'll get the job, too. Hi Eva, we really enjoyed working for you and helping to maintain the high standard of excellence on your home which is beautiful inside and out. Thanks for your continuing patronage! I called Carlo last year when we noticed "sawdust" around the back porch and suspected carpenter ants that we actually saw running around. Carlo confirmed, explained why (old damp wood) and sprayed thoroughly. He also said that carpenter ants are difficult to get rid off and gave us 1yr warranty. He came back once at the end of the summer to spray again. We redid the porch this month, and while there was plenty of evidence in several locations that carpenter ants had lived there, they were gone totally and without doubt. A few yrs ago Carlo expertly got rid of the vasp nest in our 3rd fl exterior wall, and carpenter bees in the railing. He always answered his phone, or called back asap, and made an effort to come asap, too. A nice guy and a perfect professional. While I am never actually happy to see him, I can absolutely recommend his company's services. Luc's Roofing did a great job on our steep Victorian roof seven and a half years ago; it's still perfect. Earlier this year I emailed them to ask about a couple of shingles that have curled up on the side of the house. Luc emailed right back and came the following day, then Ben came the same afternoon, apologizing that it took him a bit longer to locate the same colour shingles, and fixed everything at no charge! This month I emailed them about our much older flat roof and skylight. Again, Luc responded right away, came as scheduled, took pics and explained everything. Then he fixed the worst to make sure we had no leaks before the new skylight's delivered. Great job and great customer service. Quite exceptional actually. Thanks! Thanks for the feedback! Glad the original roof is holding up so well. We're more than happy to have been able to help on the other matters. It's really paying attention to all the details that counts.